NBC isn't just covering the Rio Olympics; it has billions of dollars riding on them. And that raises the question of whether the network can or will chronicle what might happen, warts -- and viruses, and scandals -- and all. This is more than just an academic exercise. The Games, which begin on Aug. 5, have already been mired in controversy, from doping scandals to reporting by HBO's "Real Sports" on corruption within the International Olympic Committee. There are serious concerns about the Zika virus, crime and contaminated water that could pose health risks to athletes participating in certain events. On Tuesday, NBC held a presentation via satellite from Brazil for the TV Critics Association tour, a semiannual assembly of those who cover television, featuring on-air talent Bob Costas and Mary Carillo and Olympics producer Jim Bell. 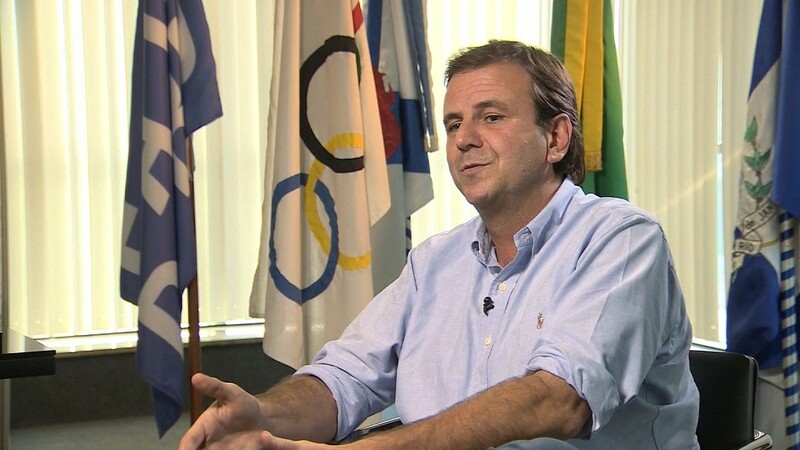 Costas noted that Rio's mayor acknowledged the problems that exist, and pointed out that past Olympics have faced their own concerns. While the hope is the organizers will overcome those challenges, Costas said, "we would be naïve to think that they don't face security problems, that they don't face problems with sanitation." "We're here to cover the Olympics," Bell said, indicating that the goal was to keep the focus on sports and the athletes. If extracurricular matters intervene, he said, "Should it be a story while we're here ... we'll cover it." Concerns about NBC's vast investment in the Games and the extent to which that might inspire the network to adopt more of a cheerleading tone are nothing new. That is, in large part, because concerns about host countries are not new: there were worries about human rights issues in China in 2008 and Russia in 2014, for instance. Asked if NBC bore some responsibility for the Games remaining in Brazil, despite calls from some medical experts to move them, Costas stressed that the host network would have televised the Olympics wherever they were held. "The question about our responsibility becomes how thoroughly and credibly do we cover it," he said. "It would certainly be my expectation that we would not shy away from that." For her part, Carillo accentuated the positive, calling Brazil "physically commanding and exotic" and saying, "I've had nothing but terrific experiences." That said, when Costas asked Carillo if she intended to go into the open water in which swimmers would be competing, she quickly said she did not. Another complicating factor could be that many events will be broadcast live. While that's a boon to sports fans who generally prefer not to watch delayed action, and usually a boost to ratings, real-time coverage will also force NBC producers to make rapid decisions if something does go wrong. Beyond the multi-network and streaming coverage of the Olympics, which will total more than 6,000 hours, the network will again use the Games as a major promotional platform for its new programming, previewing shows scheduled for the fall.